Theresa May, summoning each swiftly waning digit of strength as her government continues careening into the abyss, and with no small degree of sheer gall, spoke recently at a “youth violence summit” about the need to tackle violent crime amongst young people. Indeed, we cannot, but even if we could in some absurd counter-reality, it’s hardly as if the Police have the resources to undergo such a task in the first place. In this conservative governments attempts to appear to have a hold of itself it only appears more and more out of sync, the words spoken gradually slipping into a spacio-temporal disconnect with the world around them. We cannot arrest ourselves out of it .. so clearly the blame is to be placed on those working in public services, already under hideous strain and threat of redundancy under further cuts, to somehow “spot the signs” of violent crime amidst the youth in their purview. The grotesque contortions of these suggestions are compounded by the routine denunciations of culpability; of course we have nothing to do with it. Of course, neither the full bombardment of police forces or the watchful eye of public service workers will do anything; at least, for all the lip service to adressing the “causes” any actual addressing of cause is what is notably absent from the whole discussion. In placing the focus on a purported duty to report crime what the government is doing here is attempting to depoliticize it, to remove from the realm of possibility any hint that a rise in crime may be connected to a rise in poverty and dispossession, of precarity and homelessness. The irony here is that what May is suggesting is simply another way of trying to arrest our way out of the problem. She and her cabinet likely know full well that addressing violent crime, crime of any stripe for that matter, requires addressing the socio-political issues that birth it, but to do so is simply beyond their political programming. 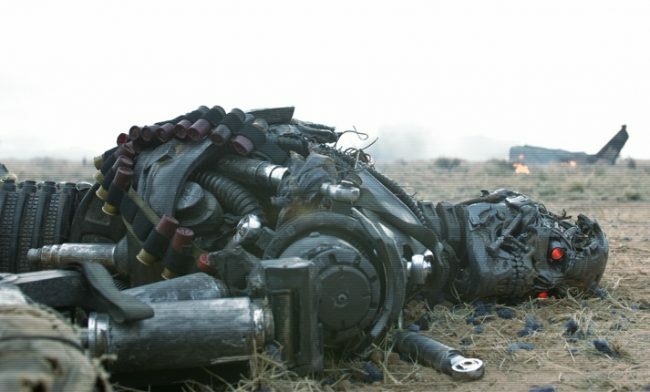 The wasted remains of the neoliberal terminator still slowly drags itself across the blasted sands, unaware at this stage of its lost functionality, its state of comatose denial. Crime, like terrorism, must time and time be reduced to transcendential causes. When Donald Trump made that comment, about good people with guns stopping bad people with guns, he vocalised without the double entendres and politesse of neoliberalism exactly what it implies with its approach to such issues; that people do bad things because they are bad. This worrying rise in violent crime amongst young people, it must just be because they simply aren’t behaving properly, or we aren’t disciplining them properly. The cause is left mystified, in a haze of infinite distraction. It must all be reduced to some kind of problem related to moral character or strength of will. Some people just want to watch the world burn … some just want to earn a living. It has become obvious in most quarters that we exist now in some strange state of transition, that the putrescent moderation of the past decades has fallen into disrepute … and yet it continues. Despite everything, in the conservative government, in the rather amusingly limp posturing of the newly minted replicants of the “new centrists”, in the neoliberal bastions over in europe, institutions remain locked in a dystopian fantasy land where business and markets dominate our consciousness and will do for the foreseeable future. This stare of empty bliss is nothing however if it is not an opportunity for the left to take action. We don’t have to acquiesce and we don’t have to rely on the glimmer of hope, but if we cannot in the twilight of the doddering clowns of westminster seize onto a newfound confidence, then we have some way yet to go.